London, 4 June 2018- Advent International, one of the largest and most experienced global private equity investors, today announced that it has entered into exclusive negotiations to sell Ammeraal Beltech, a global leader in light-weight process and conveyor belting, to funds managed and/or advised by Partners Group. Acquired by Advent in July 2015 and headquartered in the Netherlands, today the company is a global market leader in developing, manufacturing, installing and servicing mission-critical light-weight conveyor belts. The company provides products to over 30,000 customers operating across a broad range of markets, including logistics, food processing, travel and industrial manufacturing, in more than 150 countries. With Advent’s support, the company has gone through a phase of transformation focused on building an outstanding management team and accelerating profitable growth whilst maintaining the premium product quality and efficient customer service for which the company is renowned. In addition, the company completed seven bolt-on acquisitions into new markets, including in Asia-Pacific and South America. Prakash Iyengar, CEO of Ammeraal Beltech, said: “Our partnership with Advent has been a very successful one. In the last three years, we have nearly doubled Ammeraal’s annualised EBITDA and improved operating cash flow by over 50%. This was achieved by acquiring top talent and developing a high performance team, further building the company’s core strength of customer intimacy and creating the Ammeraal Business System (ABS), which has helped build a disciplined operating model and culture. 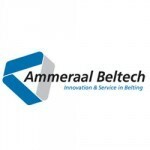 The transaction is expected to be completed in Q3 2018, subject to customary approvals, including completion of the consultation process with the works councils of Ammeraal Beltech and other employee representative bodies, the signing of a definitive agreement, and anti-trust and regulatory clearance. Advent was advised by Goldman Sachs International and Rothschild.